If you ever find yourself in a situation where you have had an accident in your car, and cant get you seatbelt off, then a company called CRKT may have the solution with this handy tool called the ExiTool. The ExiTool is a small device that clips onto your seat belt, and it features a built in seat belt cutter, a window breaker and an LED flashlight. 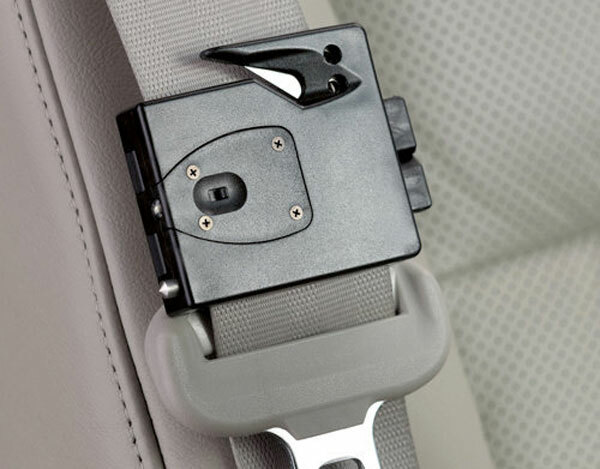 It certainly seems like a clever idea, maybe car manufacturers should think about building something like this into car seatbelts, it could end up coming in handy if you are ever in an accident. The ExiTool will be available shortly from CRKT for $27.